The Standing Stone: Greatheath, Ring-Barrow, Co. Laois. Location – It’s hard to miss this barrow and is right in the middle of the Heath village is just passed the school and next to a track that runs towards the golf course. It is right on the side of the road. 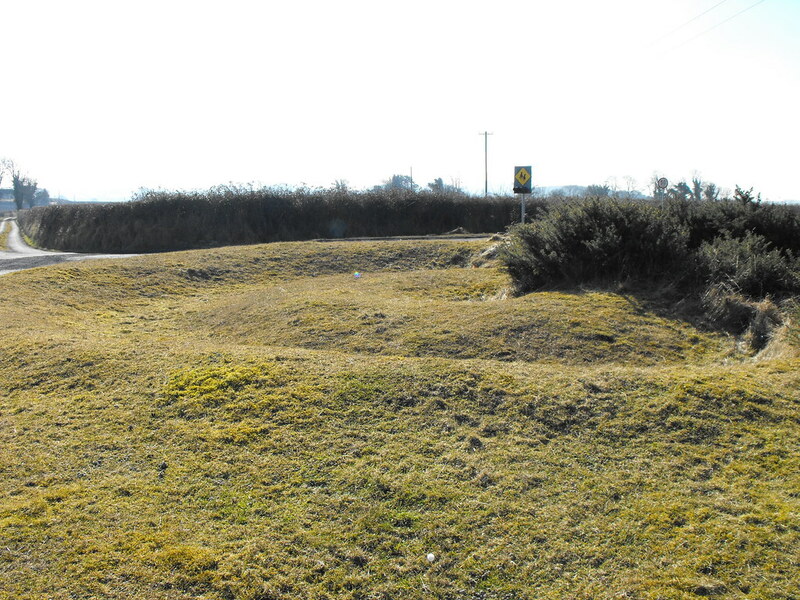 Description and History – This is a lovely little ring barrow and is so easily accessible. 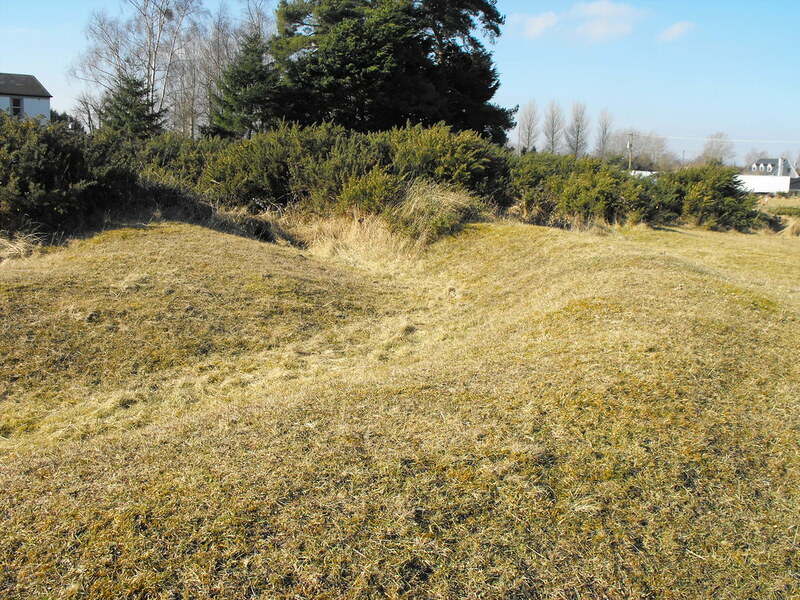 It is part of a much larger barrow cemetery that spans a large portion of the Heath. 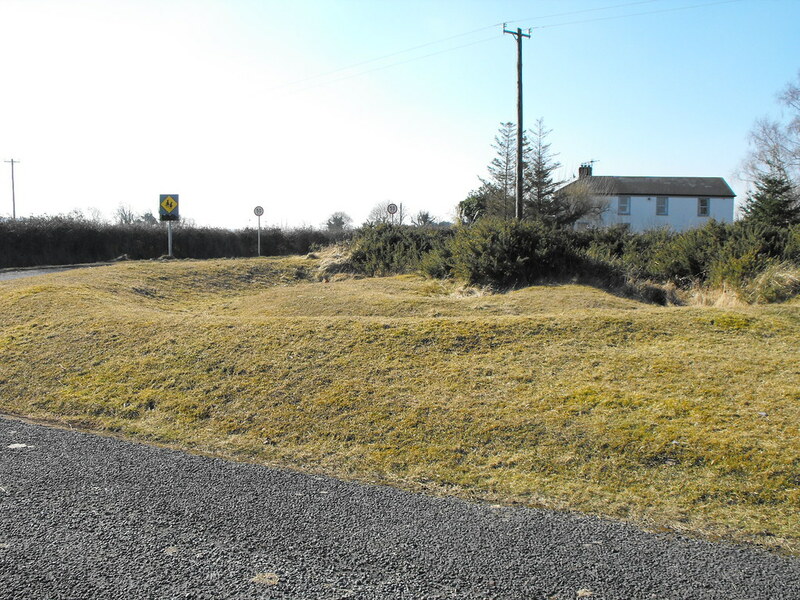 As with the barrow cemetery at Little Curragh in Co. Kildare there is a golf course right in the middle of it. I had read that apart from this barrow the others are either on the course or in people’s back gardens. This isn’t actually the case and the others can be accessed and I will need to go back to get to these. This barrow is shallow and only rises to a height 0.5m. The outer ring measures nearly 16m in diameter. The central mound has been quarried out unfortunately and measures about 5.5m in diameter. The fosse is nearly 5m wide while the outer bank is 4m wide. 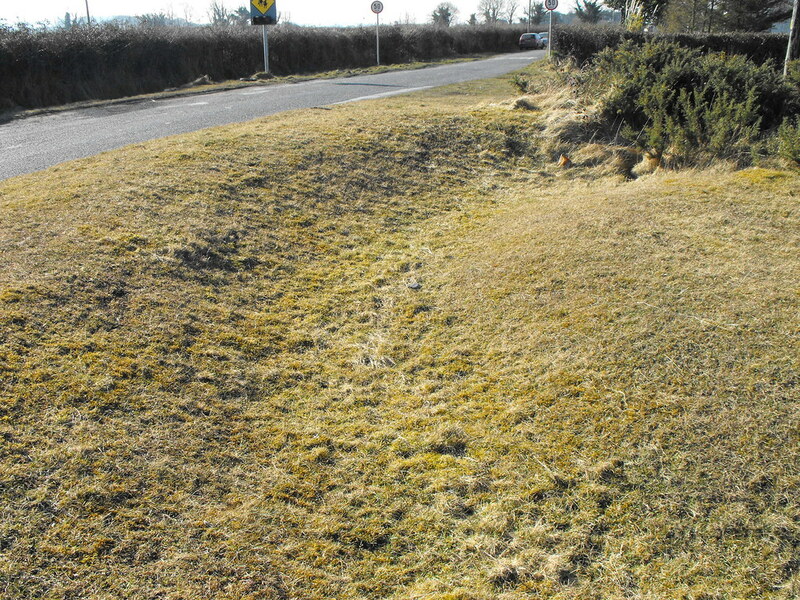 This is a fine example of a ring barrow. There is a little gorse growth on the barrow which needs to be dealt with before it takes hold and takes over. 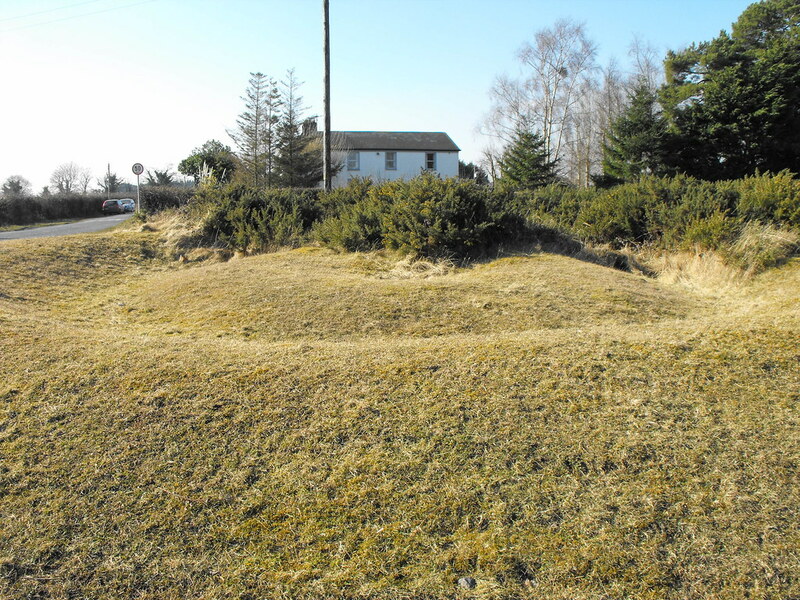 Tom FourWinds at Megalithomania has visited and documented the other barrows and can be read about here. Difficulty – Really easy to get to. Be careful not to park on the shallow bank and fosse. For more barrows, click here. 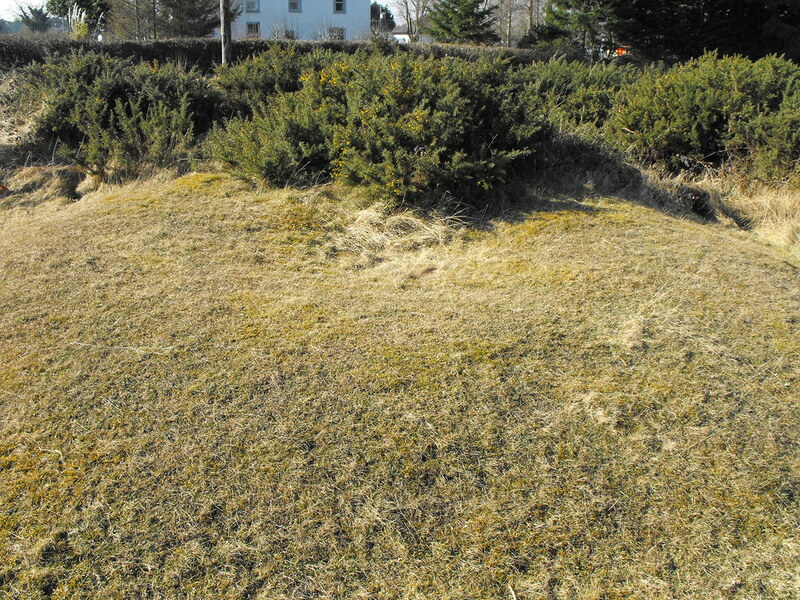 The central mound with the encroaching gorse. Looking at the bank and fosse. 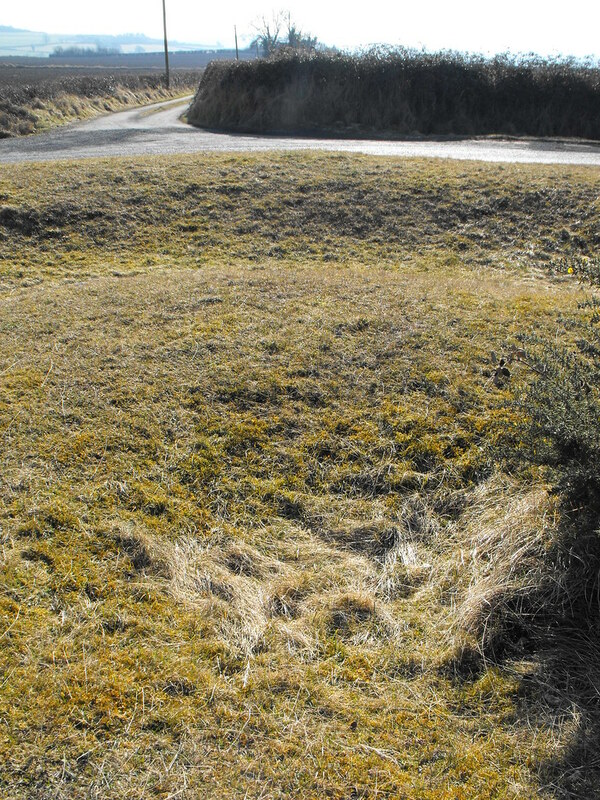 You can see here how close to the road this barrow is. You can see here that the centre has been robbed of material at some point.